Many American franchisors look towards the Great White North as the site of their first international expansion. It makes perfect sense. After all, Canada has similar geography and a similar culture. Many US brands see Canada as an extension of the US market to some degree. It’s why brands like The Cheesecake Factory and Chick-fil-A have moved across the northern border. This assumption, however, is also the reason why giants like Target can fail to expand into Canada successfully. The Canadian market is often more different than corporate decision-makers account for. If you’re planning to expand, take a look at some of these tips. They’ll help you manage your move into Canada successfully. Canada and the US have multiple levels of government. The federal level governs the entire country, while states or provinces govern their various territories. In both countries, you must pay attention to both federal law and state or provincial law. You’ll want to make note of some differences in Canada. Many of the regulations that are considered federal-level in the US fall to the provinces in Canada, and vice versa. For example, in the US, unemployment programs are handled at the state level. In Canada, the federal government administers the Employment Insurance program and the Canada Pension Plan. While Medicare and Medicaid are federal-level programs in the US, healthcare in Canada is handled by the provinces. Employment law is also handled by the provinces in Canada. Pay particular attention to Quebec, which often has very different laws. One of the first shocks for American companies doing business in Canada is the difference in legal protections for workers. A great example is that “at-will” employment doesn’t exist in Canada. In the US, it’s legal for either employer or employee to terminate the employment relationship with no further notice. In Canada, however, an employee often needs to be given notice of termination two or more weeks before the end of their employment. If proper notice isn’t given, the employer may be required to pay the employee severance. There are also different regulations regarding time off, such as vacation entitlements and public holidays. Many provinces also have legislation about various types of leave, both paid and unpaid. Take some time to consider how well your franchise will export to Canada. Many Americans make the mistake of assuming Canadians share a very similar culture, which means everything that works in the US will work in Canada. Target found this out the hard way. The brand’s Canadian expansion didn’t last because it couldn’t meet Canadian consumers’ expectations. Do some research and discover the differences between your American markets and your intended Canadians market. The differences may be subtle, but it will pay to make appropriate adjustments before you open your doors. Another thing an American franchisor must think about is the tax implications of the franchise structure. The franchise fees a Canadian franchisee pays to you will likely be subject to tax withholding. There can be other factors at play as well. You may want to incorporate in Canada in order to avoid those cross-border fees and taxes, but incorporations can be subject to different terms provincially. 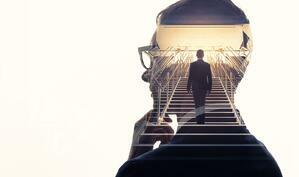 Some may require you to have a certain percentage of Canadians on the board of directors. 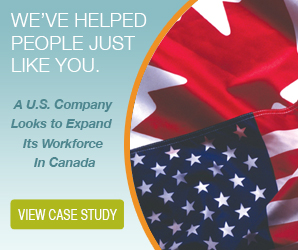 Take a look at your target market and determine whether expanding into Canada makes sense. For some businesses, it’s a no-brainer, but others may want to carefully consider their decision. With these tips, you can manage your expansion activities in Canada and beyond more successfully than ever.